Today I have a fun project that I whipped together the other night to feed my wreath making addiction. I have such a miss mash of Christmas decorating style, but this year not enough bright fun stuff so I had to put together this cute Glittery Snowman Wreath! I had some faux white fur from The Online Fabric Store. I ripped it into 2″ strips (ripping is better, if you cut you’ll cut the hairs) I created a little bottle brush tree (check out this tutorial to make your own) from yarn and added some glittery vase filler balls for ornaments. The snowmen are super easy to make with a few Make It Fun styrofoam balls, a skewer, some Mod Podge and glitter. Be sure to leave the skewer long enough on the bottom to poke into the Make It Fun Styrofoam wreath form. 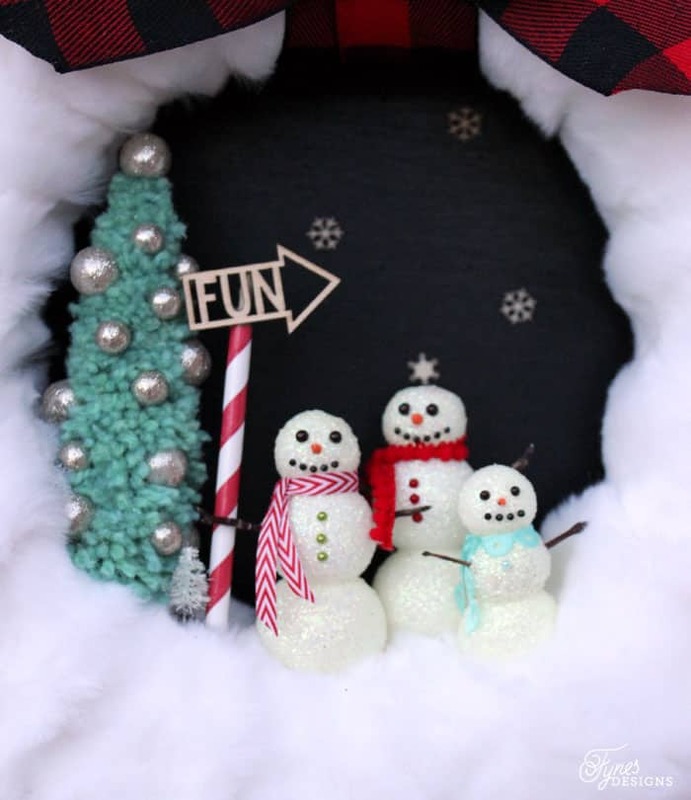 A few wood Veneer pieces make this Glittery Snowman Wreath extra fun! I topped the wreath off with some Boston Plaid May Arts Ribbon, one of my favourites this Christmas! Aren’t the little snowmen oh so cute? Hey Virginia – love your great wreath ideas! 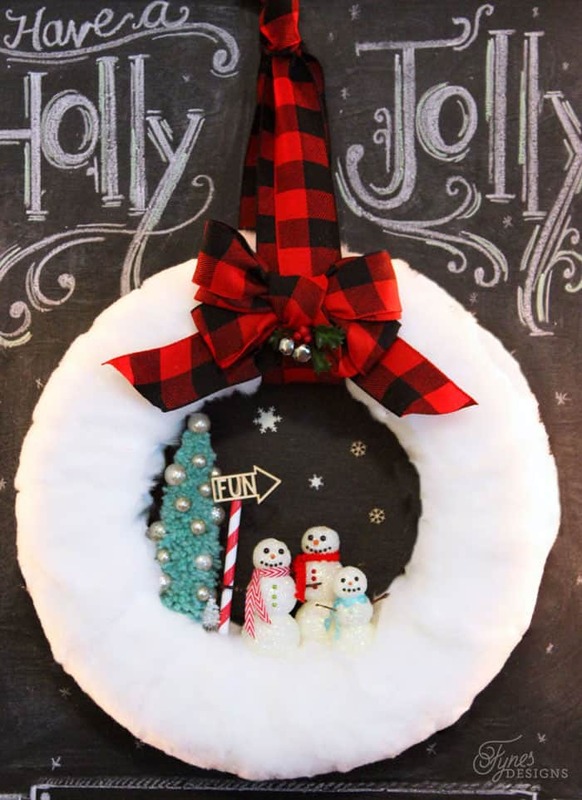 Adorable snowman wreath & so easy! I always love your wreaths! 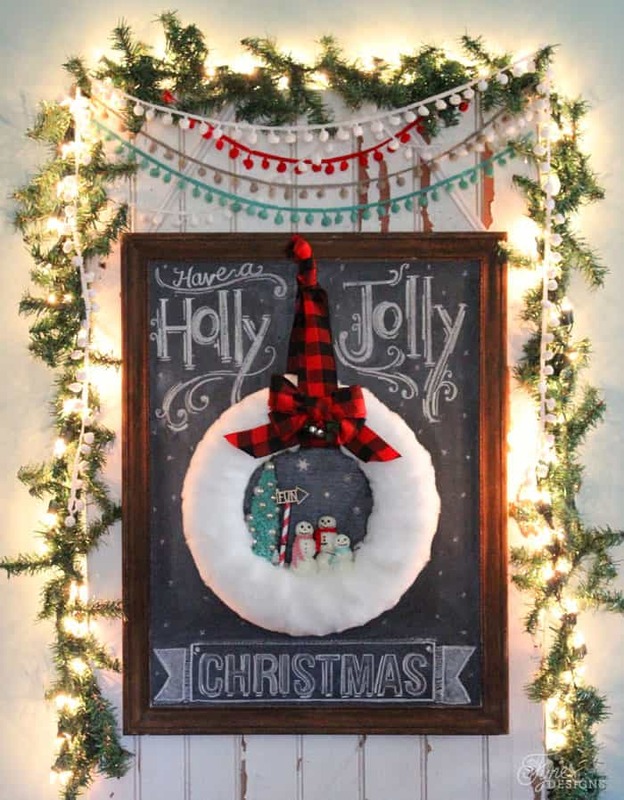 This one is so adorable – and the chalkboard & garland background is beautiful! What a cute idea. I’d love it if you shared this at Holiday Best at Tumbleweed Contessa. We’re running this party through December 25. That wreath is perfect for your young family!!! No neat for stuffiness when there’s little ones around. 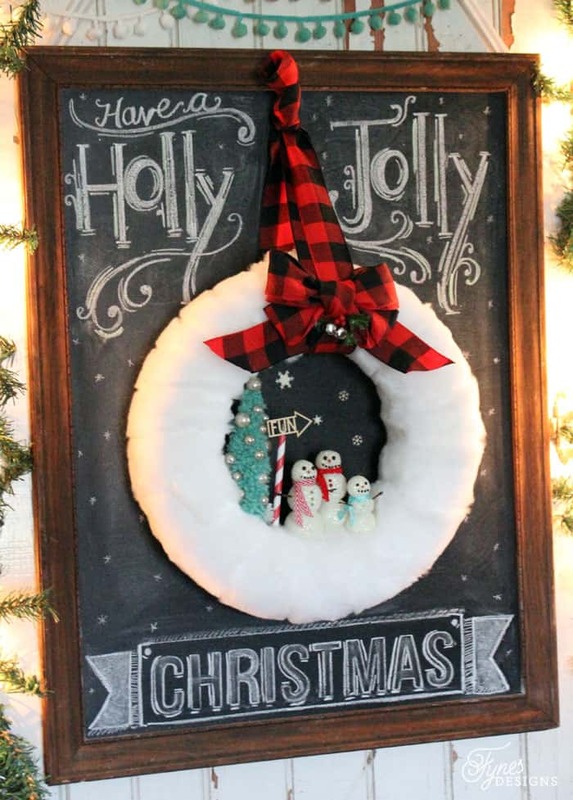 This is a really sweet wreath idea! I can absolutely see making this with my Things. It’s exactly the kind of craft that can highlight the personalities of the people working on it. There’s lots of room for adding personal flair! I adore this wreath! How sweet! Virginia, I LOVE this sweet Snowpeople wreath!! Although I don’t have the same crafting materials, your design is amenable to using what one has on hand = BRILLIANT design!!! Thank you so much for your amazing creativity. I’m always looking forward to what you’ll do next!